Driving our truck, “Gringo”, today to get an oil change, it dawned on me that we have logged some serious mileage over the past 2.5 months. Looking at the oil change sticker in the upper left hand corner of our windshield, it was surprising to calculate that we were getting an oil change some 3 months earlier than the previous estimation. By a quick google maps calculation, we’ve done over 4,000 miles. With two kids in the car, it feels like a number triple that. Also, you can reduce my expected life expectancy by about 7 months as kids in a car will do that to you. The purpose of this post isn’t to complain about driving or brag about the states and miles we’ve racked up, but to provide a little insight into my views on traveling. For me, there is no better teacher. What makes a great teacher? Most people would say something to the effect of, “a great teacher is someone who encourages you to see things in a different way, but is also firm and maybe even tough.” This is what traveling has given me – different perspectives, lessons, and challenges. I love routines and am a slave to my eating, sleeping, exercise, meditating, and reading habits when at home. This trip has completely upended all of those routines and I’m still working to get comfortable with that change. The thought of spending another 3 or 4 months in close quarters with my family still scares the bejesus out of me. But, in light of all this change, this trip continues to provide daily lessons that I wouldn’t have been able to experience behind the protective curtain of my routines from home. At the moment, the positives of seeing new places and experiencing new things, outweighs the comforts of home. A common refrain I have said and I’ve heard from others with kids is, “I want to spend more time with my family.” Stepping into the dragon’s den nonstop with a 1 and 4 year old, has certainly given me a new appreciation for family time! Just like a tough teacher, I’ve learned some hard lessons on this trip. First and foremost, I have a lot to learn to be a good father to my kids. Also, I don’t currently have the patience necessary to run a daycare facility, or in my case, to effectively handle a 4 year old who talks every second of the day. It doesn’t feel amazing when you’re shown over and over again that you’re not as good at handling your kids as you’d like to be. 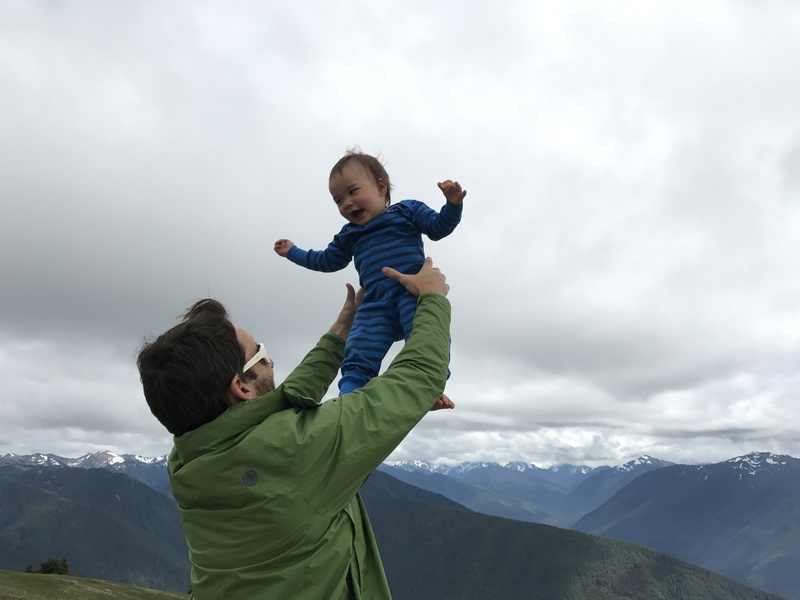 Nobody wants to be reminded of their shortcomings, but traveling with kids will let you know front and center what type of temperament you actually employ. But the rosey side to the story is, I’m getting to see these shortcomings and work on them in real-time, whether I want to or not. This trip is forcing me to become a better father and I’m confident that I’ll look back on this time and appreciate the lessons and experience gained. This is all not to say that I couldn’t have learned such things from home, but traveling is a teacher both swift and constant. In my experience, traveling has helped to accelerate my learning curve. A comment that I have often heard from people who haven’t had the opportunity to travel much is, “the USA is the best country on the planet” OR “my hometown is the best city in the country.” While this may be true for them, unless they have visited every country or every town, how would they know it’s the best? Before getting out of my college induced bubble, I was probably in this camp too. The first big trip I ever went on was a backpacking journey across Europe after college with two of my best friends. At that time in my life, I was really just interested in drinking good beer and meeting European girls (maybe not in that order). But the trip was a seminal moment for what I learned about people and cultures. You might think I’m referring to all the great European cultures, which is somewhat true, but that trip really taught me about the place and people I left in the US more than the countries I was visiting. While I got snapshots of the cultures I visited, how could I really understand the people and what they experienced from a 3-day jaunt through Barcelona or a hazy couple of nights in Amsterdam? The real questions I was left asking were, “why don’t we have public transportation like the Germans” or “how come all Americans don’t speak multiple languages like the Fins” or “how come everyone in Holland is so fit?” I could have learned these things in a book, but I wouldn’t have experienced and felt them the same if it wasn’t for traveling there. Furthermore, books can guide or even teach you, but travel can change you. Speaking of change, J and I took this trip because we were given a unique opportunity to have all excuses removed from our calculus. Our firing “left us” with no job, lots of time, no kids in school, and some savings that was going to go towards the business that we could now use for the trip. If it wasn’t for this perfect alignment, there’s no way I’m writing to you from Olympic National Park. Even with this alignment, it was extremely difficult to pull the trigger and actually make the trip a reality. In fact, I wanted to back out a couple days before we left. Why? Fear. Fear of change. Fear of the unknown. Fear of failure. Whatever happens from here on out, whether we add another 10,000 miles or just the 2,769 miles it takes to get home, what this trip has given me is this – traveling is called traveling only because for most of us, we live in a house that doesn’t move. When you live out of a backpack or in a house that rolls, traveling is just another word for living. I was fearful of this trip because I wasn’t sure if I could handle the constant moving and time with my kids. But what I’ve learned is that I was always traveling, those changes are always coming and my kids are not always going to be kids. This is a great post! Isn’t life all all about discovering something new every day? Man, I commend you guys for traveling with a 1 and 4 yo in the RV! The time to do so is now before they go to kindergarten at 5-6 yo right? The thing I struggle with is when is the right time to travel, or the best age to travel for the kids? I don’t think kids remember much before 3 years old, so I was thinking of going on long trips after, and then multi-year stays for elementary school, middle school, and HS. Thoughts on this? Thanks Sam – it wasn’t all peaches and roses, that’s for sure! We really struggled with this decision too (travel now or later). Ultimately, we decided to live in the moment and take advantage of the free time (not knowing if we would have reasons for sticking closer to home in the future). The positive to traveling now is the kids really can’t complain and are pretty much at your mercy 🙂 I have to agree, they’re probably not going to remember much, but at least my wife and I can pass along the memories!? My bigger worry was when school kicks into high gear, sports and activities ramp up and my kids start forming opinions about things, there’s a chance our traveling would subside. A tough call either way – no clear answer in my opinion.